Whenever I get bored of my apartment decor, I find myself rearranging my coffee table. 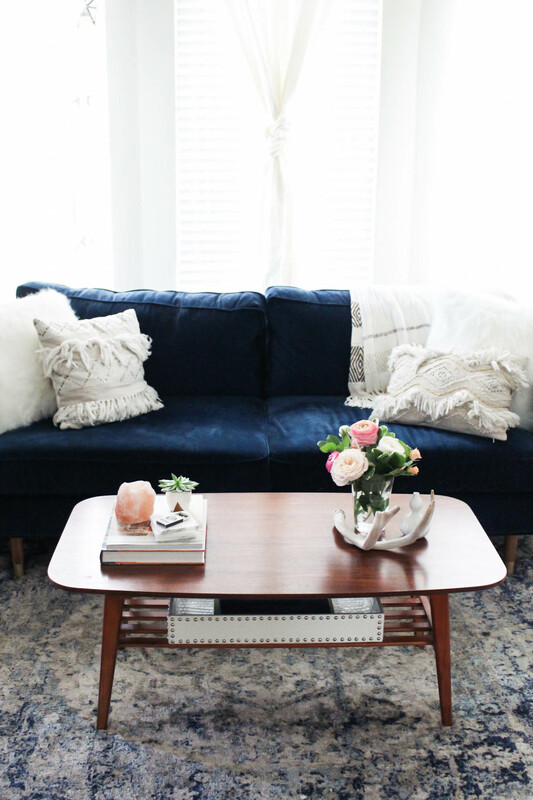 It's the easiest space to update without committing to large purchases and only takes a few minutes. 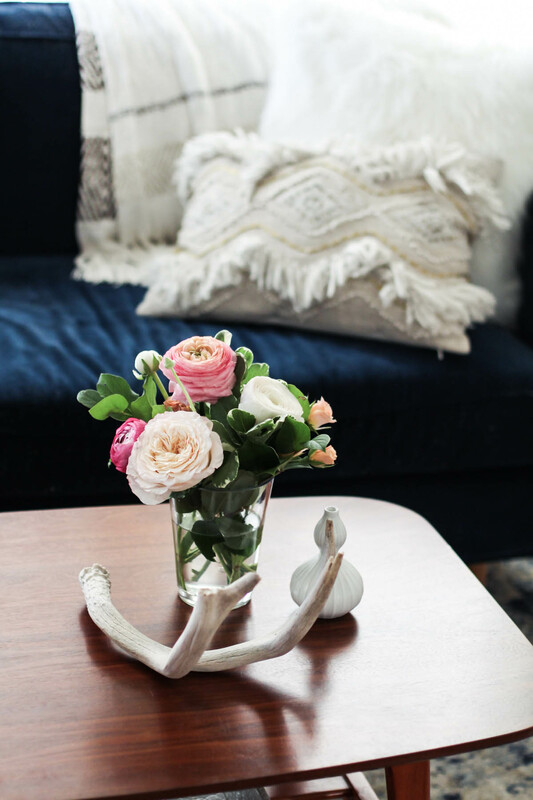 But since I tend to rely on the same handful of styling arrangements, I decided to team up with a couple of local interior designers from InteriorCrowd to get their point of view. 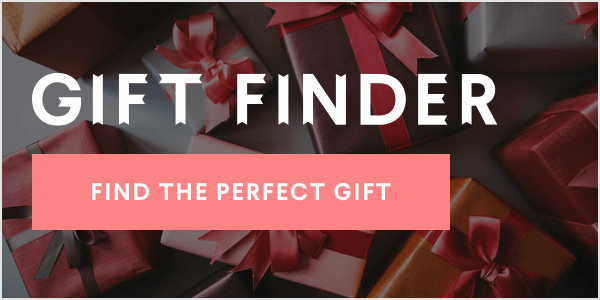 InteriorCrowd is an in-person and online interior design service based here in San Francisco who I worked with to create my dream bedroom a few months back. 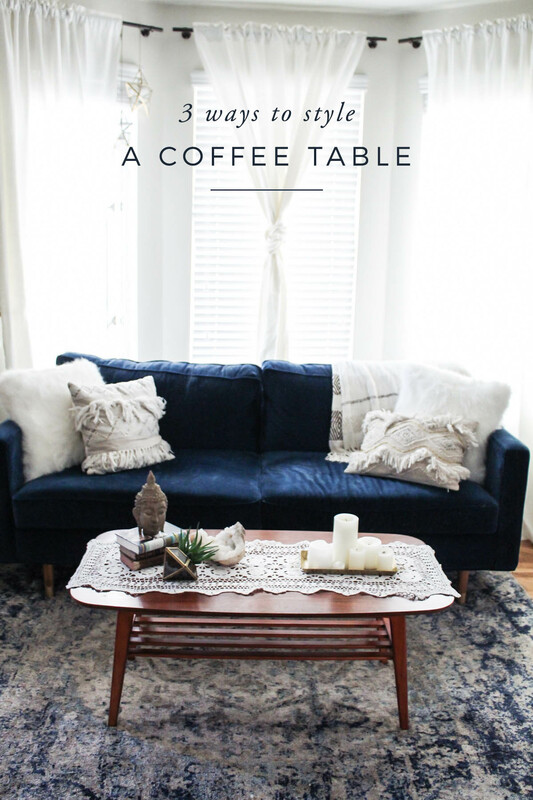 Since you can use their service for smaller design updates as well larger room makeovers, I thought I'd team up with them again for some coffee table styling ideas that you can recreate in your own home :). 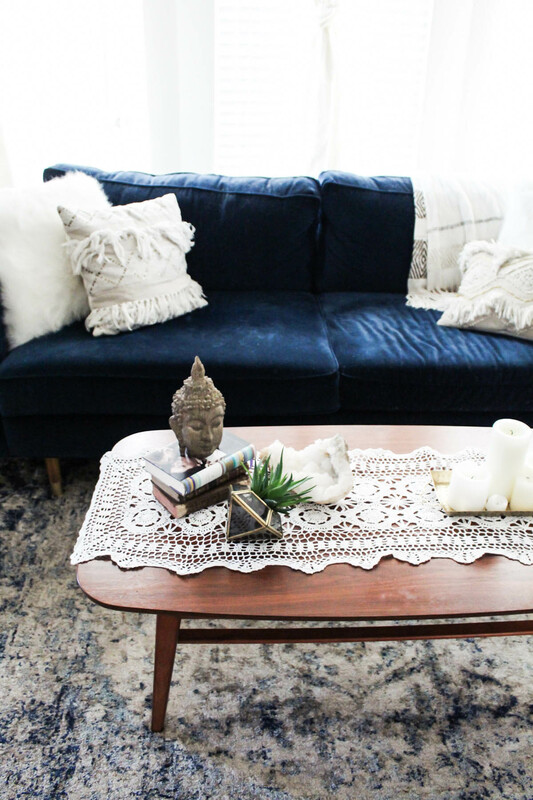 First, I took a stab at styling my coffee table (from Urban Outfitters) with some of the decor I already had around my apartment. 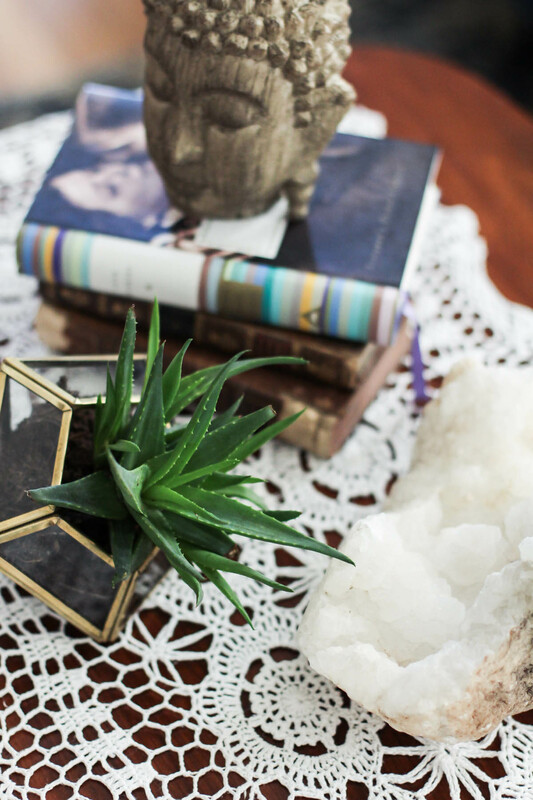 I started with a few coffee table books, then added my go-tos: a candle, coasters, and some greenery. I have a few antlers lying around (because that's totally normal), so I incorporated one into the look for a rustic touch. 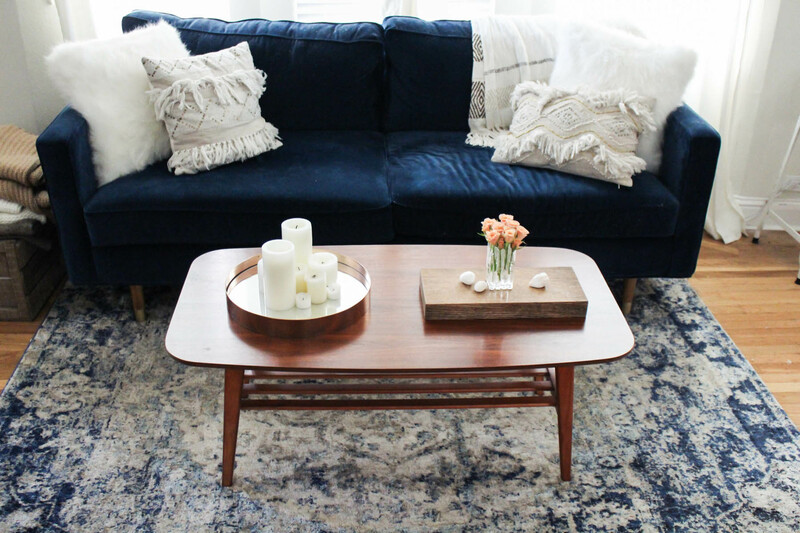 Since you know I love that boho feel, Carly decided to take my love for boho a bit further and I love the results! 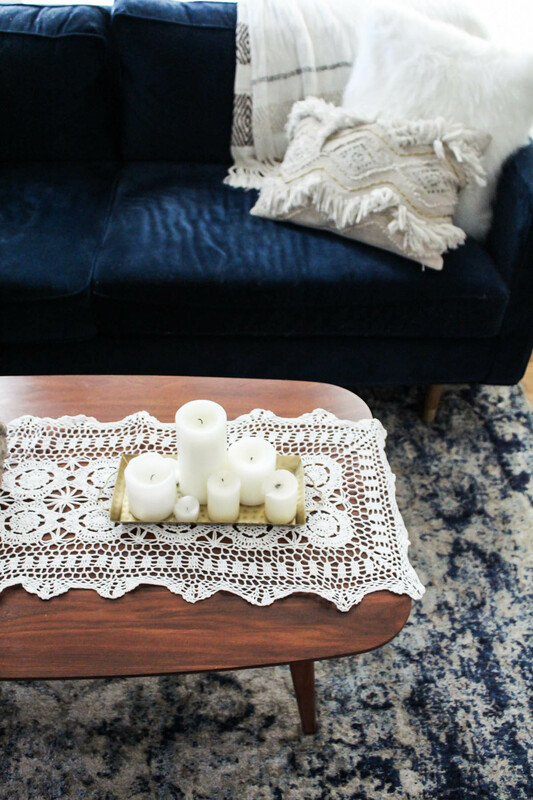 The crochet runner adds some really interesting texture and totally changes the vibe. She then added natural elements like this wooden buddha, a terrarium, and my large geode. To polish up the look a bit, she incorporated this gold tray and loads of candles. As someone who tends to add too much, I was excited for Jacqueline to create a more minimalist look that would keep the space more polished. 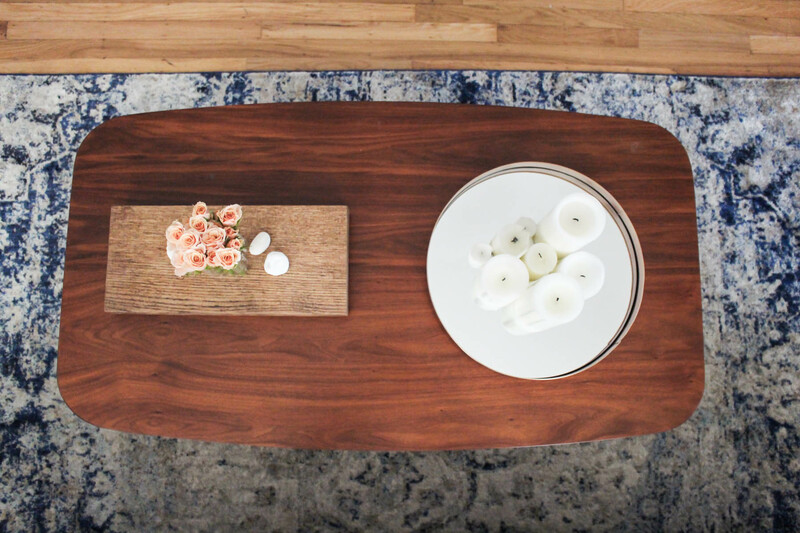 She focused on two simple trays with only a few pieces of decor. The circular tray is actually a mirror she decided to use as as tray and the wooden one is literally just a slab of wood. I love the simple yet chic finished look! 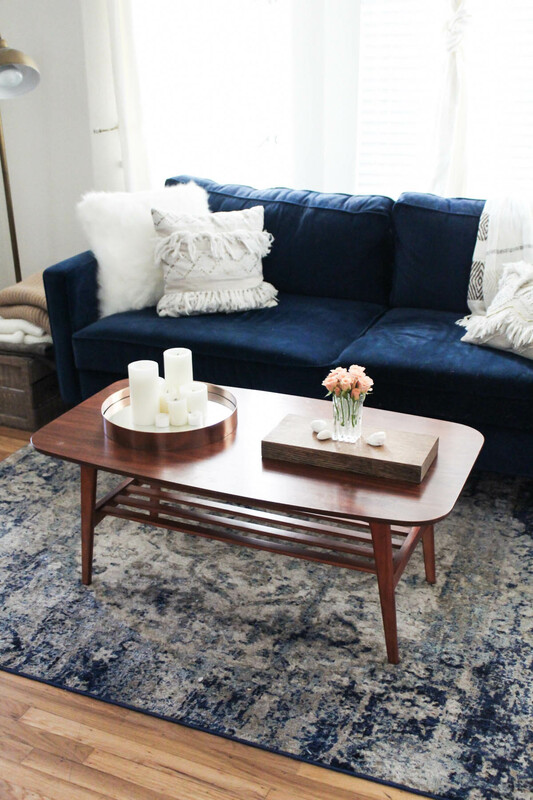 The post 3 Ways to Style a Coffee Table appeared first on Advice from a Twenty Something.